Shirt, Meet Tie Some men have terrible taste in shirts and ties – a quick glance around your work place will confirm it. Some men have terrible taste in shirts and ties – a quick glance around your work place will confirm it. For those unfortunate enough to be confined to suits for the majority of their working week, fashion has to take a back seat. Corporate suits can often be mind-numbingly dull and the sea of miserable faces trudging to work every morning is, to my mind, a mix of both work-based hatred and the realisation that they really don’t know how to match up their shirts and ties. Getting creative with your shirt and tie combinations is one of the best ways to showcase your love of fashion and style within a formal environment, but they’re extremely easy to get wrong. After all, colours and patterns can be confusing individually, but when you start mixing them together, all hell can break loose. The concept of colour matching continues to stump even the most stylish of men. But the problem you have with combining shirts and ties is that, unless you want your work wardrobe to be very, very dull, you will at some point have to tackle the issue of colour – getting to grips with it once and for all. The colour wheel above offers you a visual representation of every shade and, more importantly, the similar, complementary and contrasting colours of each. It’s all very simple really: the sections on either side of the colour in question are similar, directly opposite is complementary and contrasting hues are separated by three sections of the wheel. For example, red is opposite green, making it a complementary colour; purple and orange are either side of red, making them similar colours; and both yellow and blue are three sections away from red, making them contrasting. Yet, even armed with this knowledge, combining colours is easier said than done. When it comes to shirts and ties, it’s often easier to pair contrasting colours than it is complementary. For example, a mid-blue shirt, burgundy (red is a contrasting hue) tie and navy suit combination is one that every man can pull off. Complementary colours are harder to match because wearing them full strength is sometimes too much for the human eye to bear. The key here is to vary the shades, such as a light blue shirt with a burnt orange tie. Of course, this will already be second-nature to you becauseyour tie should always be a darker shade than your shirt, without exception. Of course, the easiest and safest option is to just combine a bold coloured/patterned tie with a crisp white shirt – but where’s the fun in that? Experiment with colour mixing and you will quickly learn what works and what doesn’t, eventually creating some go-to combinations you can reach for on a daily basis. Always buy nice ties. Nice doesn’t necessarily mean expensive, but it does mean tasteful. If you have terrible taste in ties then there is very little that we, or anyone else for that matter, can do for you. As a personal preference, I avoid anything too shiny or smooth. Textured and matte finishes make ties much easier to wear and help deflect attention to your outfit as a whole. Don’t know whether to opt for a standard or skinny width tie? As a general rule, your tie should be as close to the width of your suit lapel as possible. These are your wardrobe workhorses and default option during the working week. Essential shirt colours that every man should own include white, sky blue and pink. Important Note:throughout this guide we will be considering all shirt and tie combinations independently of your choice of suit. The majority of you will be confined to plain, neutral suits in navy, grey or charcoal during the working week anyway, which will help anchor any of the pairings advocated in the article. As previously mentioned, white shirts offer you maximum versatility. No matter if you opt for a preppy stripe, tartan check or knitted navy version, you can combine almost any tie with a white shirt. If you are going down the safe white shirt route, make sure your tie is full of character – whether that is provided by pattern, colour or an interesting texture. Try darker patterned or textured ties in the same family. A knitted navy version or navy polka dot tie is ideal. Orange is a complementary colour and a burnt orange tie works particularly well with a sky blue shirt. Both yellow and red are contrasting hues, so ties in shades of burgundy/oxblood or mustard/gold look great set against this shirt colour. These could be solid ties or mixed with navy (think club stripes). Green is a similar colour to blue – try a dark forest green tie if you want to make a refined and effortless statement. Similar colours include mauve and purple. Opt for any of these in a nice deep shade and you can’t go wrong. Green is complementary, and a matte khaki shade is a bold choice that will really separate your look from the crowd. Blue is a contrasting colour and we would argue that nothing looks better than a pink shirt with a predominantly navy tie, whether solid or patterned. Printed shirts are where things start to get interesting. Standard colour rules still apply for classic striped shirts but because you have already introduced a pattern, the design you opt for on your tie needs a bit more consideration. Block-colour ties are the obvious go-to – whether in similar, contrasting or complementary shades – but when you want to branch out into pattern mixing there is just one key rule to remember: always vary the size/scale of the patterns you combine. For example, thin striped shirts should be combined with larger patterned ties and wide striped shirts (think butcher’s stripe) should be paired with smaller, more intricate motifs. Stripes also work perfectly well with other stripes, again, so long as they aren’t the same size. For instance, why not try a thin pencil stripe shirt with a larger club stripe tie? Pick out the colour of the pencil stripe with one of the colours on your tie and it suddenly helps pull your entire look together – showing you are a man that pays attention to detail. Another great tip here is to simply vary the orientation of the stripes you combine. For instance, a vertical striped shirt can be paired with a horizontal or diagonal striped tie. This offers a clear contrast and helps to differentiate each piece. Otherwise, polka dots, paisley and geometric designs are all fair game. It all comes down to personal preference, so try out different pattern combinations and see what encapsulates your personality and approach to style best. You may immediately think that combining a check shirt with a patterned tie would follow a very similar set of rules to those of the stripe shirt. Not so. While stripes require a bigger or smaller pattern depending on their width, a check shirt always requires a bigger pattern on your tie to avoid it becoming lost. The exception here is a window pane check, which is similar to a pencil stripe and offers much more flexibility due to the scale being so large and the pattern so subtle. Small gingham check shirts are the most traditional and dress code-friendly on the market, yet those who work in strict formal offices may even find this type of shirt too casual. If your gingham shirt features a classic white base, bear in mind the colour matching principles outlined above and opt for a tie that is in a similar, contrasting or complementary shade to the check colour. For example, a navy tie looks great with a sky blue or pink gingham check shirt. If you opt for larger tartan/plaid versions, the key is to pick out one of the more subtle base tones in your shirt with a solid, block-colour tie. Just remember to keep the shade darker than the colour present in the shirt itself. Stripes are perfectly acceptable to combine with check shirts. Choose a tie with a big bold stripe so that it can easily compete with the pattern on the shirt and, again, make sure that one of the colours present in the stripes is the same as one of the secondary hues used on the shirt. Polka dots can also work well if you follow the same principles. Avoid more intricate patterns such as paisley or geometrics as they are likely to create an optical illusion for anyone taking a cursory look at your unfortunate shirt and tie combination. Shirts and ties are a difficult business – get it wrong and you’re the laughing stock of your office; get them consistently right and suddenly you’re seen as the best dressed gent in the company. Practice and experimentation is the only sure-fire way to make sure that you get it bang on every time, but the general guidelines above should help you on your way. Οι σωστοί χρωματικοί συνδυασμοί στα ρούχα μπορεί να φαίνονται ιδιαίτερα δύσκολοι στους άντρες, ωστόσο είναι ιδιαίτερα σημαντικό να ξέρεις να συνδυάζεις σωστά τα χρώματα. Υπάρχουν πολλά άρθρα που αναφέρουνπως μπορείς να συνδυάσεις ένα πουκάμισο με μια γραβάτα,ή δίνουν συμβουλές για το αντρικό ντύσιμο. Τοthe-man.gr, όμως, αποφάσισε να σου προσφέρει μια πιο εύκολη λύση για να μπορέσεις να αποκτήσεις το στυλ που επιθυμείς. Επιλέξαμε 14 μοντέρνους χρωματικούς συνδυασμούς, ιδανικούς για κάθε περίσταση, και σου τους παρουσιάζουμε παρακάτω. Πως να συνδυάσεις σωστά τα αντρικά σου ρούχα! Ένας κλασικός συνδυασμός είναι το σκούρο μπλε μαζί με καφέ χρώμα. Επέλεξε να φορέσεις ένα παντελόνι σε καφέ αποχρώσεις μαζί με ένα μπλε πουκάμισο ή ένα σκούρο μπουφάν και θα έχεις το απόλυτο look για μια απογευματινή βόλτα. Αν έχει και λίγο κρύο, προτίμησε να φορέσεις κι μια τραγιάσκα για να διατηρήσεις ζεστό και το κεφάλι σου. Αν σου αρέσουν τα έντονα χρώματα στα ρούχα σου, τότε το κίτρινο είναι ένα υπέροχο χρώμα που πρέπει να δοκιμάσεις. Μπορεί να μην είναι πολύ συνηθισμένο στους άνδρες, αλλά αν το συνδυάσεις σωστά θα αφήσεις τις καλύτερες εντυπώσεις. Το κίτρινο, λοιπόν, μπορεί να συνδυαστεί με όλες τις αποχρώσεις του μπλε αλλά και με το γκρι. Επέλεξε μια μπλούζα σε γκρι απόχρωση για να διατηρήσεις τις ισορροπίες, ενώ προτίμησε ένα σκούρο μπλε παντελόνι κι ένα πιο ανοιχτό κασκόλ για να έχεις ολοκληρωμένη εμφάνιση. Τα ριγέ ρούχα δίνουν μια πιο casual αίσθηση στην εμφάνιση σου. Γι’ αυτό το λόγο μπορείς να τα συνδυάσεις με πολλά χρώματα. Το γκρι, το μουσταρδί, το μπλε και το κόκκινο είναι μερικές από αυτές. Διάλεξε μια ριγέ μπλούζα σε σκούρες αποχρώσεις και συνδύασε τη με ένα γκρι παλτό και μουσταρδί παντελόνι, ενώ προτίμησε ένα μπλε κασκόλ για να συμβαδίζει με τα χρώματα της μπλούζας σου. Αν βρίσκεσαι σε μια δουλειά όπου επιβάλλεται να φοράς κοστούμι, αυτό δε σημαίνει ότι θα πρέπει να φαίνεσαι μουντός και να είσαι όμοιος με όλους τους άλλους υπαλλήλους. Επιλέγοντας τα σωστά χρώματα και σχέδια, είμαι σίγουρη ότι θα αναδειχθείς σε έναν από τους κομψότερους άνδρες στο γραφείο. Αν το κοστούμι σου διαθέτει κάποιο μοτίβο, όπως το καρό, προτίμησε να φορέσεις ένα μπλε πουκάμισο με διαφορετικό μοτίβο. Μερικά χρώματα που ταιριάζουν επίσης με το γκρι είναι το καφέ και το βυσσινί, τα οποία μπορείς να τα φορέσεις σε μια γραβάτα ή ένα μαντήλι. Εκτός από το βυσσινί και το καφέ, ένα γκρι κοστούμι μπορεί να συνδυαστεί και με απαλές αποχρώσεις από το μουσταρδί χρώμα. Αγόρασε ένα παλτό σε αυτές τις αποχρώσεις και θα βγεις κερδισμένος. Μπορείς να φαίνεσαι επαγγελματίας ακόμη και χωρίς κοστούμι. Φόρεσε ένα γαλάζιο πουκάμισο μαζί με ένα παντελόνι σε μουσταρδί αποχρώσεις και θα έχεις ότι χρειάζεσαι. Όσο για τα αξεσουάρ, μια γραβάτα σε σκούρο μπλε χρώμα και με κόκκινες ρίγες, και μια καφέ ζώνη θα ολοκληρώσουν το σύνολο σου. Τα χρώματα που συνδυάζονται πολύ καλά μαζί είναι το γκρι, το μπλε και το γαλάζιο. Ένα γαλάζιο πουκάμισο σε συνδυασμό με ένα γκρι κοστούμι ή ένα γκρι παλτό είναι ιδανικός συνδυασμός για τους επαγγελματίες. Παράλληλα, αυτά τα χρώματα μπορούν να συνδυαστούν με το κόκκινο αλλά και το μπεζ, τα οποία μπορείς να τα χρησιμοποιήσεις σε κάποια αξεσουάρ, όπως στην τσάντα και στο μαντήλι σου. Ένα παλτό που μπορεί να δείξει εντυπωσιακό επάνω σου είναι αυτό σε μπεζ απόχρωση. Μπορεί να σου φαίνεται πολύ ανοιχτό αλλά η αλήθεια είναι ότι συνδυάζεται εύκολα με σκούρα χρώματα. Διάλεξε ένα μπλε κοστούμι μαζί με ένα έντονο μπλε ή λευκό πουκάμισο και μια καφέ ζώνη με αντίστοιχα παπούτσια και θα αναδείξεις όχι μόνο το παλτό αλλά και όλο το σύνολο σου. Ένα καφέ παντελόνι μπορεί να συνδυαστεί υπέροχα με ένα κόκκινο πουλόβερ σε κόκκινο χρώμα, στην απόχρωση του κρασιού. Μαζί με καφέ παπούτσια σε λίγο πιο σκούρα απόχρωση και με ένα μπλε-κόκκινο καρό πουκάμισο, θα έχεις ένα μοντέρνο και άνετο look για όλες τις ώρες της ημέρας. Εκτός από το κόκκινο, ένα καφέ παντελόνι ταιριάζει απόλυτα και με το σκούρο πράσινο. Επέλεξε μια ζακέτα σε αυτή την απόχρωση μαζί με ένα πουκάμισο στην απόχρωση του πάγου για να μην φαίνεται πολύ «βαρύ» το ντύσιμο σου. Το καφέ που αναφέραμε παραπάνω είναι ένα φυσικό χρώμα που μπορείς να φορέσεις κάθε εποχή. Τώρα που ήρθε το φθινόπωρο, τα φυσικά χρώματα είναι η καλύτερη επιλογή που έχεις να κάνεις. Φόρεσε ένα μαύρο παντελόνι μαζί με μια μπεζ μπλούζα κι ένα ποντικί παλτό και θα έχεις το απόλυτο φθινοπωρινό look. Αν θέλεις να βάλεις λίγο χρώμα στην εμφάνιση σου, προτίμησε να φορέσεις ένα κασκόλ που θα περιέχει και λίγες κόκκινες αποχρώσεις. Εκτός από τις φυσικές αποχρώσεις, το χειμώνα κατά κύριο λόγο θα επιλέξεις να βάλεις πιο σκούρα χρώματα. Υπάρχουν πολλοί τρόποι να τα συνδυάσεις σωστά. Φόρεσε ένα μαύρο παντελόνι και προτίμησε να το συνδυάσεις με ένα πουλόβερ σε διάφορες αποχρώσεις, όπως καφέ σκούρο, πορτοκαλί, μπλε και γκρι. Από πάνω φόρεσε ένα σκούρο μπλε παλτό και είσαι έτοιμος. Μπορεί να έχεις ένα γενικά σκούρο ντύσιμο αλλά αυτός είναι ένας στυλάτος συνδυασμός χρωμάτων. Το τζιν μάλλον δεν λείπει από την καθημερινή σου γκαρνταρόμπα. Μπορεί να νομίζεις ότι ένα τζιν παντελόνι μπορεί να συνδυαστεί με τα πάντα, όμως η αλήθεια είναι ότι δεν ταιριάζουν όλα τα χρώματα με αυτό. Αν θέλεις να διατηρήσεις ένα κομψό καθημερινό look, δοκίμασε να φορέσεις μια λευκή μπλούζα και μια ζακέτα σε γκρι-μπλε αποχρώσεις, ενώ επέλεξε τα παπούτσια σου να είναι σε διαφορετική απόχρωση, όπως για παράδειγμα το σκούρο καφέ. Τα παντελόνια σε έντονα χρώματα, και ιδιαίτερα το κόκκινο, είναι στη μόδα τα τελευταία χρόνια. Θα σου πρότεινα να δοκιμάσεις να φορέσεις ένα τέτοιο παντελόνι και να το συνδυάσεις με γκρι, λευκές και μαύρες αποχρώσεις. Φόρεσε ένα λευκό πουκάμισο, ένα γκρι γιλέκο μαζί με σακάκι και μια μαύρη ζώνη και είσαι έτοιμος. Ενώ το κόκκινο παντελόνι χρειάζεται ανοιχτόχρωμους συνδυασμούς, δεν ισχύει το ίδιο με τα κόκκινα σακάκια. Σίγουρα θα χρειαστείς ένα ανοιχτόχρωμο πουκάμισο, αλλά τα υπόλοιπα αξεσουάρ σου επέλεξε να είναι σε καφέ και διάφορες άλλες κόκκινες αποχρώσεις. Υπάρχουν δεκάδες λόγοι για τους οποίους οι άντρες επιλέγουν ένα συγκεκριμένο ντύσιμο, γιατί κάνουν συγκεκριμένες ενδυματολογικές επιλογές, και γιατί προτιμούν συγκεκριμένες τάσεις περισσότερο από κάποιες άλλες. Υπάρχουν δεκάδες λόγοι για τους οποίους οι άντρες επιλέγουν ένα συγκεκριμένο ντύσιμο, γιατί κάνουν συγκεκριμένες ενδυματολογικές επιλογές, και γιατί προτιμούν συγκεκριμένες τάσεις περισσότερο από κάποιες άλλες. Οι άντρες ντύνονται μοντέρνα για να πετύχουν διάφορους στόχους τους, όπως για παράδειγμα να εντυπωσιάσουν το αφεντικό τους ή να φαίνονται κομψοί στο πρώτο ραντεβού. Από τα παπούτσια μέχρι και την προσωπική σου περιποίηση, δες παρακάτω τα 10 πράγματα που ελκύουν τις γυναίκες στην εμφάνιση σου. Τι αρέσει στις γυναίκες στο αντρικό ντύσιμο! Ένα από τα πρώτα πράγματα που προσέχουν οι γυναίκες επάνω σου είναι τα παπούτσια. Για εμάς, τα παπούτσια που θα επιλέξεις να φορέσεις μπορούν να μας πουν δεκάδες πράγματα για εσένα ακόμα και πριν σου μιλήσουμε. Το πόσο πολύ προσέχεις τα παπούτσια που φοράς συνδέεται με το πόσο νοιάζεσαι και για άλλες καταστάσεις στη ζωή σου – έτσι το βλέπουμε. Πάνω από όλα, εκτιμούμε τον άντρα που γνωρίζει ποιο παπούτσι επαινεί το προσωπικό του στυλ, και τον άντρα που είναι περήφανος για τις επιλογές του στα παπούτσια. Γι’ αυτό θα σε συμβούλευα να επενδύσεις χρήματα σε κομψά, καλής ποιότητας παπούτσια και να προσέξεις ώστε αυτά που θα επιλέξεις να φοράς να φαίνονται πάντα σαν καινούρια. Το πουλόβερ με V λαιμόκοψη είναι ενδεικτικό της επιμέλειας και φοριέται από άντρες που είναι συγκροτημένοι και ξέρουν πως να φροντίσουν τον εαυτό τους. Ένα πουλόβερ με V λαιμόκοψη είναι η σωστή ισορροπία μεταξύ του καθημερινού και του πιο κομψού στυλ. Γι’ αυτό είναι ασφαλές να φορέσεις κάτι τέτοιο στις περισσότερες περιπτώσεις! Τα πουλόβερ αυτά μπορείς να τα βρεις σε διάφορα χρώματα και σχέδια, αλλά κατά τη γνώμη μου ένα ωραίο γκρι, σκούρο μπλε ή λαδί είναι το ιδανικό. Συνδύασε το με ένα πουκάμισο και μια γραβάτα που κάνει αντίθεση και θα έχεις την τέλεια εμφάνιση. Εκτιμάμε έναν άντρα που ξέρει πως να φορέσει τις κάλτσες του. Όμως, αυτές τις μέρες, είναι πολύ στη μόδα τα πόδια χωρίς κάλτσες. Παλιότερα, θεωρούνταν άσεμνο ένα άτομο να δείχνει τον αστράγαλο του. Τώρα όμως, όχι. Μην το παρακάνεις, ωστόσο. Το ιδανικό για εμάς είναι μια εμφάνιση όπου το παντελόνι δεν είναι πολύ στενό (ή πολύ φαρδύ) και τα μπατζάκια είναι ελαφρώς ανασηκώμενα. Γι’ αυτό, αν το επιτρέπει ο καιρός, ανασήκωσε τα παντελόνια σου και φόρεσε τα αγαπημένα σου παπούτσια χωρίς κάλτσες (ή τουλάχιστον φόρεσε κάλτσες που δε φαίνονται). Τα παντελόνια chinos είναι υπέροχα επειδή είναι εύχρηστα, μπορείς να τα φορέσεις σε κάθε περίσταση, επίσημη και ανεπίσημη, και ταιριάζουν με όλα. Το ιδανικό παντελόνι είναι εκείνο που είναι ελαφρώς ανασηκώμενο στο στρίφωμα για να φαίνεται ο αστράγαλος σου, όπως αναφέραμε παραπάνω. Αγόρασε τα σε ότι χρώμα θέλεις, αλλά βεβαιώσου ότι θα έχεις τουλάχιστον ένα σε σκούρο μπλε χρώμα, ένα στο χρώμα της άμμου και ένα λαδί. Αντικατέστησε τα με τα τζιν και θα μας εντυπωσιάσεις. Μπορεί να σου φαίνεται απλό, αλλά αυτός είναι ένας συνδυασμός τον οποίο οι περισσότερες γυναίκες λατρεύουν να δουν σε έναν άντρα. Ένα ωραίο, ταιριαστό μπλουζάκι, το οποίο δεν είναι ούτε πολύ χαλαρό αλλά ούτε και πολύ στενό, είναι το ιδανικό. Και τα τζιν είναι ένας τομέας που αξίζει να επενδύσεις. Επέλεξε ένα τζιν καλής ποιότητας που είναι στενό αλλά δεν σε περιορίζει πολύ. Λατρεύουμε τα στενά τζιν επάνω σας. Όχι όμως τα φαρδιά τζιν και τα μπλουζάκια σε μεγαλύτερο μέγεθος. Ένας άντρας που ξέρει πως να κάνει πιο καθημερινό ένα καλό πουκάμισο με μια γραβάτα και ανασηκωμένα μανίκια είναι απλά τέλειος. Φυσικά, είναι μια υπέροχη ένδειξη όταν ένας άντρας μπορεί να δείξει την ικανότητα του στο να συνδυάζει σωστά τα χρώματα, τις υφές και τα σχέδια στο καλό του πουκάμισο και στη γραβάτα. Είναι, όμως, ακόμη πιο ελκυστικό να βλέπεις έναν άντρα με ένα απλό λευκό πουκάμισο και μια μονόχρωμη γραβάτα να τραβάει όλα τα βλέμματα και να τον σχολιάζουν θετικά. Είναι αρκετά casual ο συνδυασμός για να μπορείς να τον φορέσεις όπου θέλεις, αλλά δεν είναι και τόσο casual ώστε να φαίνεσαι ακατάστατος. Οι henley μπλούζες είναι καλύτερες από τα κλασικά T-shirts. Στην πραγματικότητα είναι ένα μπλουζάκι χωρίς γιακά με λίγα κουμπιά μπροστά, αλλά λατρεύουμε αυτές τις μπλούζες επειδή είναι διαφορετικές. Σε κάνουν να ξεχωρίζεις από τους υπόλοιπους, και επειδή δεν είναι πολύ επίσημα, όταν φοράς ένα henley αναβαθμίζεις το καθημερινό σου στυλ. Όσο αφορά τα υπόλοιπα αξεσουάρ, αν ένας άντρας φοράει ωραία βραχιόλια με γούστο, χωρίς υπερβολές, δεν υπάρχει κανένα πρόβλημα. Τέλος, ένας άντρας που ξέρει πως να συνδυάσει τη γραβάτα, και διάφορα άλλα αξεσουάρ αξίζει να τον προσέξουμε. Μείνε λιτός και ανέδειξε το προσωπικό σου ύφος, και να είσαι σίγουρος ότι θα σε προσέξουμε. Ένας άνδρας με κοστούμι ραμμένο στα μέτρα του είναι κάποιος που απαιτεί προσοχή, και τον οποίο προσέχουμε! Ωστόσο, δεν αναφέρομαι σε ένα οποιοδήποτε παλιό κοστούμι. Οποιοσδήποτε μπορεί να βάλει ένα κοστούμι. Ένας αληθινός, όμως, άντρας ξέρει πως να το φορέσει σωστά. Αυτό σημαίνει να το φροντίσει ώστε να είναι στην καλύτερη του εμφάνιση κάθε φορά που το βάζει. Πρέπει να έχεις τον έλεγχο του κοστουμιού. Μπορούμε να καταλάβουμε πότε ένας άντρας δε νιώθει άνετα με το κοστούμι του, και σε αυτή την περίπτωση θα προσέξουμε τα λάθος ρούχα και όχι τον άντρα που τα φοράει. Να είσαι κυρίαρχος του κοστουμιού, και εμείς θα παρατηρήσουμε εσένα – το κοστούμι απλά θα κολακεύει το όλο σύνολο. Κάτι ακόμα που πρέπει να γνωρίζεις είναι το πότε πρέπει να φορέσεις το κοστούμι σου. Το να φοράς ένα κοστούμι στη δουλειά είναι must. Ωστόσο, δεν είναι σωστό να το φορέσεις στο πρώτο ραντεβού καθώς δείχνει πολύ επίσημο. Όταν το φοράς στο κατάλληλο περιβάλλον, θα φαίνεσαι πιο κομψός, δυνατός και seχy. Όταν το φοράς εκεί που δεν πρέπει, θα φαίνεσαι απλά περίεργος. Υπάρχουν διάφορες απόψεις για το τι ακριβώς αρέσει στις γυναίκες όσο αφορά την προσωπική σου περιποίηση. Κάποιοι λένε ότι η ατίθαση εμφάνιση και τα πυκνά γένια, αλλά περιποιημένα, είναι ελκυστικά, ενώ άλλοι λένε ότι ένας γυμνασμένος και ξυρισμένος άντρας είναι καλύτερος. Παρόλα αυτά, δεν είναι ούτε τα γένια ούτε η μυϊκή δύναμη που ελκύει μια γυναίκα. Αυτό που χρειάζεσαι είναι να φαίνεσαι ωραίος και ότι ενδιαφέρεσαι για την εμφάνιση σου τόσο ώστε να χτενίζεις και τα μαλλιά σου που και που. Λατρεύουμε τους άντρες που ξέρουν πως να φροντίζουν και να περιποιούνται τον εαυτό τους. Είτε είσαι ξυρισμένος είτε όχι, αυτό που έχει σημασία είναι να είσαι καλοδιατηρημένος. Δε χρειάζεται να σου γίνει έμμονη ιδέα (και καλό θα ήταν να μη σου γίνει), αλλά ένας άντρας που έχει ένα κούρεμα ως σήμα κατατεθέν του, κάποιος που φοράει ένα συγκεκριμένο άρωμα, προσέχει τι φοράει και φροντίζει τα ρούχα του, ξέρει πότε και πως να ξυριστεί, δεν ξεχνάει να κάνει μπάνιο και έχει καθαρά νύχια αξίζει να του αφιερώσουμε χρόνο. Κάτι ακόμη που πρέπει να ξέρεις είναι ότι λατρεύουμε τους άντρες που είναι άνετοι και με αυτοπεποίθηση. Που ξέρουν πως να φαίνονται υπέροχοι χωρίς μεγάλη προσπάθεια. Που ξέρουν να μην παίρνουν την εμφάνιση τους πολύ σοβαρά. Αν το απολαμβάνεις και αισθάνεσαι καλά, φαίνεται. 8 Tips ντυσίματος που πρέπει να ξέρει κάθε άνδρας! Δυσκολεύεσαι να κάνεις τους κατάλληλους συνδυασμούς αντρικών ρούχων και να βρεις το ιδανικό στυλ ντυσίματος, που θα σε κάνει να δείχνεις ακόμη πιο ελκυστικός; Όλα είναι εύκολα, αρκεί να έχεις τα πιο χρήσιμα tips ντυσίματος! Δεν είσαι ο μόνος που αντιμετωπίζει αυτό το πρόβλημα, οι περισσότεροι άνδρες ζητάνε τις συμβουλές των γυναικών, μιας και εκείνες είναι που ασχολούνται πολύ περισσότερο με την μόδα και την εμφάνιση τους. Για να μην έχεις όμως συνέχεια το δίλημμα, για το αν τα ρούχα που φοράς ταιριάζουν μεταξύ τους ή για το αν έχεις κάνει τις σωστές επιλογές, θα σου δείξω μερικούς εύκολους τρόπους για να ξεχωρίζεις με το στυλ σου! Το μεγαλύτερο λάθος που κάνουν πολλοί άντρες, όταν φοράνε σακάκι, είναι ότι κουμπώνουν και το τελευταίο κουμπί. Το καλύτερο για να μπορέσεις να αναδείξεις το σώμα σου είναι να έχεις πάντα κουμπωμένο το δεύτερο και μερικές φορές και το πρώτο, αλλά σε καμία περίπτωση το τελευταίο. Αυτό που πρέπει να θυμάσαι όσον αφορά τις γραβάτες, είναι ότι θα πρέπει πάντα η γραβάτα σου να έχει πιο σκούρο χρώμα από το πουκάμισο σου. Επίσης, εξίσου σημαντικό είναι και το χρώμα. Επέλεξε πρώτα το πουκάμισο που θα φορέσεις και έπειτα βρες μία γραβάτα η οποία θα περιέχει σε μεγάλο βαθμό το συγκεκριμένο χρώμα. Φυσικά η απόχρωση δεν χρειάζεται να είναι ίδια, οπότε έχεις περισσότερες επιλογές. Σε αυτήν εδώ την εικόνα μπορείς να δεις διάφορα σχέδια και το ποια ταιριάζουν με ποια, αλλά και με ποια χρώματα μπορείς να τα συνδυάσεις. Ο εσωτερικός κύκλος μας δείχνει το σακάκι, ο μεσαίος το πουκάμισο και ο εξωτερικός την γραβάτα. Αν λοιπόν επιλέξεις έναν από αυτούς, τότε σίγουρα θα έχεις την ιδανική εμφάνιση. Εδώ τα τρία βασικά πράγματα που θα πρέπει να κοιτάς είναι οι ώμοι από το σακάκι σου, οι οποίοι θα πρέπει να εφαρμόζουν ακριβώς, χωρίς να είναι πολλοί στενοί ή να κάνουν ζάρες, το πίσω μέρος από το παντελόνι σου όπου και πάλι ισχύουν τα ίδια, αλλά και η μέση που κάνει το σακάκι, καθώς θα πρέπει να αγκαλιάζει το σώμα σου. Τα χρώματα παίζουν τεράστιο ρόλο στο ντύσιμο και σίγουρα θα πρέπει να σκέφτεσαι περισσότερο τους συνδυασμούς που κάνεις, για να μπορείς να είσαι πάντα σικ. Ακόμη και αν δεν είσαι ο τύπος του άντρα που θα φορέσει ρούχα με σχέδια, μπορείς να κάνεις την διαφορά με τους χρωματικούς συνδυασμούς που επιλέγεις. Στον πίνακα μπορείς να βρεις το ποια χρώματα ταιριάζουν με ποια. Άρα τι σου μένει; Απλά και μόνο να κάνεις την επιλογή που ταιριάζει στον χαρακτήρα, αλλά και την εμφάνιση σου. Τα μακριμάνικα πουκάμισα είναι η καλύτερη στυλιστικά επιλογή που μπορείς να κάνεις, ακόμη και το καλοκαίρι, αρκεί να ξέρεις πως να διπλώσεις τα μανίκια του. Ο καλύτερος τρόπος είναι να γυρίσεις προς τα πάνω το μανίκι σου, μέχρι το δίπλωμα να φτάσει μερικά εκατοστά κάτω από τον αγκώνα σου. Έπειτα, θα πρέπει να το ξανά γυρίσεις από πάνω, αφήνοντας έξω την άκρη από το μανίκι καλύπτοντας ίσα ίσα το κουμπί. Μπορεί οι τάσεις της μόδας να αλλάζουν διαρκώς, αλλά αυτό δεν σημαίνει ότι θα πρέπει να τις ακολουθείς κατά γράμμα. Ειδικά τα t-shirts με τις στάμπες και τις βράκες καλό θα ήταν να τα αποφεύγεις, μιας και δεν είναι και τόσο κομψά όσο νομίζεις. Πέρα από τους συνηθισμένους τρόπους που υπάρχουν για να δέσεις την γραβάτα σου, μπορείς να πρωτοτυπήσεις επιλέγοντας έναν από αυτούς που βλέπεις από πάνω. Η διαδικασία είναι πολύ εύκολη και έτσι θα καταφέρεις να εντυπωσιάσεις ακόμη και τους φίλους σου. Πότε πρέπει να φορέσεις γραβάτα! Pocket squares are the little accessories that make a world of difference. When it comes to dressing, we all want a little something that can change our standard suiting up, add a bit of colour and be a reflection of our own personal aesthetic. Pocket squares do just that. They may be simple but when done correctly, these humble accessories boost the appeal of any look. Whilst the traditional accessory maintains its popularity, there may be confusion with how to fold a pocket square. It isn’t that difficult and shouldn’t be confusing as we take you through five variations of how to fold and style them. First things first; make sure your pocket square reflects your own signature style. Allow your own aesthetic to shine through with graphics or colours which you feel work really well with other staple suits in your wardrobe. This will be beneficial when it comes to pairing your pocket squares with different suit, shirt and tie colour combinations. Think strategically; if you have a lot of classic tones, you can stick within the same traditionalist colour palette, but opt for a brighter graphic print to add diversity. To lift your look more vibrantly, add dashes of colour with brighter tones to more neutral suiting. Navy suits can be warmed up with redder pocket squares, like scarlet reds or rich burgundies; whilst grey suits tend to work well with lighter shades of blue. With some styles, don’t be too precise, the art of folding a pocket square shouldn’t be too formulaic or perfect. The last thing you want is for your pocket square to look like it came pre-folded. At times, the lack of perfection can actually work well to give your pocket square a hint of authenticity and dimension to your outfit, lending a bit of character. Also, be conscious that there are different sizes and materials that pocket squares come in, and these should dictate which type of folds will best suit the type of pocket square you are styling. For instance, simple folds work best with cotton or linen pocket squares whilst silk versions can handle more complex folds. Pocket Squares in basic tones like whites, navies and blacks are great to have on hand if you’re after something subtle and classic to annotate looks. Pocket squares are also one of the best ways to introduce colour into more formal looks and because they are only small additions, do not feel scared to opt for bolder patterns. Traditional patterns like ginghams, tartans, polka dots and paisleys are really effective in adding diversity to your wardrobe. Do not match your tie to your pocket square too obviously; this reads unstylish and boring. Rather, go with tones and colours that work well together, without being direct matches. Work within the same colour families and consider the types of colours featured in printed pocket squares. This will give you a better idea of complementary colours that can work well with your tie. Do not forget that a pocket square should show more of your personality, so don’t fear a bit of vivid colour, but keep it within reason and somewhat complementary with your tie. There are a hundred ways to fold pocket squares, but it is best to keep things simple and classic. We recount five of the most classic interpretations of folding pocket squares that are appropriate for a range of occasions. We also have included easy steps to folding these different variations. Also known as the presidential or classic fold, this is one of the subtlest ways to style a pocket square. Suited for more dignified, conservative occasions where formality will be observed, this fold is best suited for linen or cotton pocket squares that will hold a crease effortlessly. Fold your pocket square in half on one side. Fold your fold in half again on the other side. Determine the width of your pocket, and fold the two sides in horizontally to fit accordingly. Fold once vertically and smooth out your pocket square until you’re left with a straight, clean rectangle. It should just peek through your pocket, offering a minimalist addition to looks. Ensure the top of your fold follows the slant of your pocket. A super classic way to interpret pocket squares, the one-point fold displays a triangle shape peeking out through your pocket. This fold is more noticeable than the conservative square fold, and is recommended for most looks featuring pocket squares. A higher quality silk is recommended. Fold your pocket square in half horizontally. Fold it in half vertically. Spin your pocket square so that a point is facing you, in a diamond shape. Fold the corners of the longer side of your folded pocket square until it resembles an open envelope. Flip over and place in your pocket, with the triangle shape peeking out. A variation on the one-point fold, the two-point fold features two peaks displayed from your pocket. This fold can handle brightness and more detail when it comes to your chosen pattern and works well with silk pattern squares. Think ginghams, plaids and paisleys. Fold the pocket square in half horizontally. Fold the pocket square in half vertically. Hold the pocket square so it looks like a diamond. Fold the bottom corner up to the left of the top corner. Fold the left corner into the middle. Adjust width according to pocket size. One of the more complicated folds, this style should be approached when you feel more comfortable wearing pocket squares. Otherwise known as the Crown Fold, this style works well with simplistic silks as well as deeply coloured patterns, adding dimension to your formal looks. Lay the pocket square out like a diamond. Fold horizontally forming a pyramid. Fold the bottom third up from the left and right. Turn the pocket square over. Fold each side of the pocket square in half towards the middle. Fold the bottom point into the middle. Quite simplistic, the puff fold relies on a more traditional, subtle display of your pocket square. This fold works best with silk pocket squares that are larger, so that they do not disappear in your pocket. Find the center of the pocket square. Make a circle with your hand. Place the center of the pocket square over the circle. "Μια καλοδεμένη γραβάτα είναι το πρώτο σημαντικό βήμα στη ζωή ενός άνδρα" - Oscar Wilde, A Woman Of No Importance. Η γραβάτα, ή το τότε μαντήλι κατά την περίοδο 1616-1648, λειτουργούσε ως το σήμα κατατεθέν, ώστε να ξεχωρίζουν οι αξιωματικοί από τους απλούς στρατιώτες στο πεδίο της μάχης. Αργότερα οι Γάλλοι και πρωτοπόροι στη μόδα, ανέδειξαν τη γραβάτα ως ένα σημαντικό στοιχείο στην εμφάνιση του άνδρα, και την ενέταξαν στον χώρο της μόδας. Ο περίτεχνος τρόπος δεσίματος της, προκάλεσε θύελλα συζητήσεων σε σημείο που για χάρη της γραφτήκανε βιβλία. Το πρώτο βιβλίο που γράφτηκε εκδόθηκε το 1618 με τίτλο Necklothitania, ενώ το πιο εμπορικό βιβλίο εκδόθηκε το 1828 στο Παρίσι και περιείχε 32 τρόπους δεσίματος. Ο σχεδιαστής μόδας από τη Νέα Υόρκη Jesse Langsdorf, το 1926 ήρθε για να λύσει πολλά χέρια, καθώς άλλαξε δραματικά το σχήμα της γραβάτας, και προώθησε διαφορετικά υφάσματα στην βιοτεχνία της μόδας, ώστε ο τρόπος δεσίματος να μπορεί να είναι πιο εύκολος και σταθερός. Στην οθόνη της τηλεόρασης μας, έχουμε παρακολουθήσει ισχυρούς άνδρες της πολιτικής ή του θεάματος να προτιμούν γραβάτες σε έντονα χρώματα, τις οποίες βέβαια συνδυάζουν εξαιρετικά με το υπόλοιπο outfit. Σύμφωνα με τον David Zyla, συγγραφέα του βιβλίου Color your style, τα χρώματα στέλνουν πολύ συγκεκριμένα μηνύματα και έχουν διαφορετικό αντίκτυπο..
Δεν είναι τυχαίο ότι πολλοί πολιτικοί επιλέγουν το κόκκινο χρώμα. “Το κόκκινο είναι η γραβάτα δύναμη”, δηλώνει ο Mark Woodman, ένας αναλυτής χρωμάτων από τις ΗΠΑ. “Υπάρχει πάντα κάτι πίσω από το κόκκινο που έρχεται με δύναμη και πάθος”. “Βέβαια η απόχρωση του κόκκινου, παίζει σημαντικό ρόλο. Το μπορντό χρώμα μπορεί να βοηθήσει στην οικοδόμηση εμπιστοσύνης, ενώ το πιο ανοιχτό κόκκινο που πλησιάζει σε τόνους του ροζ, συνδέεται με την δημιουργικότητα, ενώ την τελευταία δεκαετία μία ροζ γραβάτα μπορεί να σημάνει την αλληλεγγύη προς τις γυναίκες”. “Ένα λαμπερό κόκκινο στέλνει μηνύματα φιλοδοξίας”. Το μοβ χρώμα, είναι αυτό της αυτοπεποίθησης. Χρώμα που πάντα δημιουργεί εντυπώσεις χωρίς βέβαια να προκαλεί ένταση. Ο David Zyla, δηλώνει πως: “Aν και μπορεί οι ισχυροί οι άνδρες να μην φοράνε την μαύρη γραβάτα τακτικά, όπως σε συναντήσεις στελεχών, το μαύρο χρώμα αναδίδει μία εκλεπτυσμένη ατμόσφαιρα”. “Ωστόσο η μαύρη γραβάτα μπορεί να στέλνει μηνύματα ενός άνδρα με αλαζονεία”. Ο Woodman συμπληρώνει πως η πιο safe επιλογή, είναι η μαύρη γραβάτα να συνδυάζεται με γκρι πουκάμισο. Είναι μια εκλεπτυσμένη εμφάνιση, δίχως να είναι ιδιαίτερα επιτηδευμένη”. Το πράσινο χρώμα έχει πολλές αποχρώσεις και σε διάφορες χώρες συνδυάζεται με το χρώμα του χρήματος. Ωστόσο το μήνυμα που στέλνει είναι η αναγέννηση. “Βέβαια το έντονο πράσινο για το χώρο εργασίας μπορεί να είναι ενοχλητικό ενώ είναι ορθό να συνδυάζεται με ένα ουδέτερα χρώματα”, συνεχίζει ο Zyla. Το κίτρινο χρώμα είναι ένα παραδοσιακό χρώμα γραβάτας, περισσότερο στην Αγγλία, το οποίο μπορεί να σημάνει τη σιγουριά, τη λάμψη και τη ζωντάνια. “Το κίτρινο χρώμα, είναι το χρώμα που μας κάνει οικείους στους συναδέλφους μας, ενώ είναι το χρώμα που μπορεί να δείξει την αισιοδοξία και την θετική πλευρά της ζωής”, προσθέτει η Eva Roth Lindsay, σύμβουλος εικόνας στο Χονγκ Κονγκ. Η μπλε γραβάτα είναι μία από τις πιο σωστές επενδύσεις, καθώς κάθε απόχρωση του μπλε δεν στέλνει αρνητικά μηνύματα. Αντιθέτως οι άνθρωποι το μπλε χρώμα το συνδέουν με τον ουρανό και το χρώμα των ωκεανών. Η Eva Lindsay λέει: “Οι μπλε αποχρώσεις τείνουν να εκπέμπουν μία κλασσική επαγγελματική αίσθηση και μπορεί να φορεθεί σε ένα παγκόσμιο επιχειρηματικό περιβάλλον χωρίς να στέλνει λάθος μηνύματα. Ένα μαλακό μπλε, μπορεί να στέλνει το μήνυμα της εσωστρέφειας, ενώ το μπλε ρουά, δημιουργεί όση εντύπωση χρειάζεται. Το Navy blue και οι σκούρες αποχρώσεις εκπέμπουν μηνύματα αυτοπεποίθησης”. “Τα γήινα και χαλαρά χρώματα συνήθως τα επιλέγουν άνθρωποι που καθημερινά στον εργασιακό τους χώρο έρχονται σε επαφή με άλλους ανθρώπους, όπως για παράδειγμα οι εκπαιδευτικοί”. ΑΝθέλετε να ξεχωρίσετε σε μία έξοδο σας, απορρίψτε αυτά τα χρώματα, ενώ βεβαιωθείτε πως μία γραβάτα σε γήινους χρωματισμούς, δεν θα κάνει την εμφάνισή σας, βαρετή”, συνεχίζει η Eva Lindsay. Κόκκινη, μπλε, μαύρη ή καφέ, η γραβάτα δεν έχει τίποτα να ζηλέψει από τα υπόλοιπα αξεσουάρ, αλλά αντιθέτως πλέον θεωρείται αναπόσπαστο κομμάτι σε μία εμφάνιση, την οποία ολοκληρώνει με ιδιαίτερη κομψότητα και style. Δεν είμαστε δογματικοί: αν δεν τη θες γύρω από τον λαιμό σου, καλώς την αποφεύγεις. Αλλά, αν αποφασίσεις να της δώσεις μία ευκαιρία, τουλάχιστον θέλουμε να είμαστε βέβαιοι πως θα διαλέξεις το σωστό χρώμα! Τα μαντίλια στην τσέπη ενός κοστουμιού κάνουν την διαφορά, δίνουν θα έλεγα ένα τόνο ellegance στο στιλ και τονώνουν την συνολική σου εικόνα! Και βέβαια μπορείς να το δοκιμάσεις με διαφορετικό χρώμα παντελόνι ύφασμα ακόμα και σχέδιο! Γενικά η μόδα για φέτος είναι mix and match οπότε μην φοβηθείς να δοκιμάσεις να κάνεις κάποιες αλλαγές. Τα γυαλιά ηλίου σχεδόν επιβάλλονται σε ένα τέτοιο ντύσιμο. Μπορείς να τα φορέσεις στην δουλειά σου κάνοντας ένα total office look αλλά και σε κάποια επίσημη περίσταση! New fashion trend in town!!!!!!!! Φορεστε τα καινουργια μας δερματινα παπιγιον και εντυπωσιαστε!!!!!!! Τεραστια ποικιλια απο χρωματα ωστε να ταιριαζει στο δικο σας στυλ!!!! 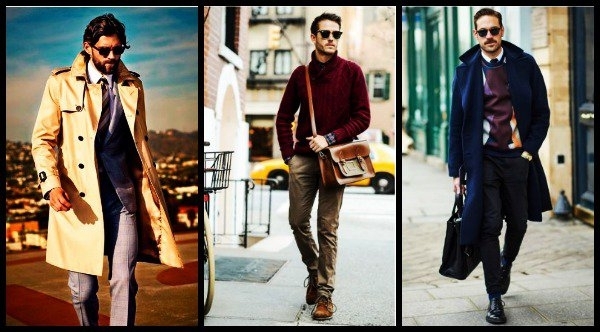 The most stylish men in the world! Πώς να φορέσεις ένα μπλε κοστούμι σε κάθε περίσταση! Έναμπλε κοστούμι μπορεί να δείχνει άκρως νεανικό και μοντέρνο, μιας και ξεφεύγει από τα συνηθισμένα, όπως είναι το κλασικό μαύρο, που είναι από τις πρώτες επιλογές όλων των ανδρών. Όσο και αν σου φαίνεται περίεργο, το μπλε θεωρείται πιο ευέλικτο χρώμα, καθώς υπάρχουν πολλές αποχρώσεις για να επιλέξεις, από τις πιο σκούρες για λίγο μεγαλύτερες ηλικίες και πιο επίσημες περιστάσεις μέχρι και τις πιο έντονες, για τις μικρότερες ηλικίες που θέλουν να ακολουθούν πιστά τηνμόδα. Το σημαντικότερο είναι να επιλέξεις την απόχρωση που ταιριάζει καλύτερα τόσο στον τόνο του δέρματος σου όσο και στα χαρακτηριστικά σου. Ακόμη όμως και αν δεν ήταν μέσα σταtrendsτου 2016, θα εξακολουθούσε να είναι μια ασφαλής επιλογή, ώστε να δείχνεις πάντα εντυπωσιακός, αρκεί βέβαια να το φοράς κατάλληλα για την κάθε περίσταση! Συμβουλές για να φορέσεις ένα μπλε κοστούμι ανάλογα με την περίσταση! Για τις πιο casual εμφανίσεις σου, μπορείς να επιλέξεις ένα μπλε σακάκι και να το συνδυάσεις με παστέλ χρώματα ή και πάλι με το μπλε για να έχεις ένα ναυτικό στυλ, το οποίο είναι και στην μόδα για το 2016. Επίσης και το λευκό χρώμα σε πουκάμισο ήpolo μπλουζάκιείναι μια σταθερή αξία. Για να δώσεις περισσότερη ένταση μπορείς να χρησιμοποιήσεις αξεσουάρ σε έντονα χρώματα, ενώ τα προτιμότερα παπούτσια για να ολοκληρώσεις το look σου είναι τα sneakersκαι κατά προτίμηση σε κλασικά χρώματα χωρίς σχέδια, όπως είναι και πάλι το λευκό. Ακόμη και στην εταιρεία που δουλεύεις μην διστάσεις να φορέσεις ένα μπλε κοστούμι. Η πιο ασφαλής επιλογή είναι να επιλέξεις μια σκούρα απόχρωση και από μέσα να βάλεις ένα λευκό πουκάμισο και μια φωτεινή γραβάτα. Βέβαια, μπορείς να πειραματιστείς και με φωτεινότερες μπλε αποχρώσεις, αρκεί όμως να μην κάνεις υπερβολές στα accessories που θα χρησιμοποιήσεις. Τα ιδανικότερα παπούτσια σε αυτή την περίπτωση είναι σε σκούρο καφέ χρώμα, ενώ όσον αφορά την γραβάτα, μπορείς να επιλέξεις μία σε πράσινο ή ακόμη και κόκκινο χρώμα. Εδώ τώρα και πάλι ένα σκούρο μπλε θα ήταν μια εξαιρετική επιλογή ή εναλλακτικά ένα γκρι μπλε, το οποίο όμως δεν θα είναι πολύ έντονο. Όσο για το πουκάμισο, μπορείς να διαλέξεις ένα πιο ζωηρό χρώμα, για να έχεις μια πιο μοντέρνα εμφάνιση. Από την άλλη πλευρά, μπορείς να διαλέξεις ένα κοστούμι με κάποιο έντονο μοτίβο, φορώντας όμως ένα κλασικό λευκό πουκάμισο και όχι κάποιο χρωματιστό. Τέλος, για τις πιο επίσημες περιστάσεις μπορείς να επιλέξεις ένα καρό κοστούμι σε όχι πολύ έντονο χρώμα και με λεπτές ρίγες, ώστε να μην δείχνει πολύ παλιακό. Μπορείς να το συνδυάσεις με ένα με κλασικό λευκό πουκάμισο και μία λεπτή γραβάτα ή παπιγιόν. Τα παπούτσια σου τώρα, θα πρέπει να έχουν το ίδιο χρώμα με την ζώνη σου, ενώ αν θέλεις να ξεχωρίζεις για τοστυλσου θα πρέπει να φορέσεις ένα σταυρωτό σακάκι. Στην συνέχεια μπορείς να δεις μερικούς εντυπωσιακούς και κομψούς συνδυασμούς! 5 Εύκολοι τρόποι να δώσεις το προσωπικό σου στυλ στις εμφανίσεις σου! Σίγουρα είναι ωραίο να ακολουθείς τη μόδα και να είσαι ντυμένος πάντα με μοντέρνα ρούχα. Σίγουρα είναι ωραίο να ακολουθείς τη μόδα και να είσαι ντυμένος πάντα με μοντέρνα ρούχα. Πολλές φορές, όμως, αυτό δεν είναι αρκετό μιας και καταλήγεις να φοράς τα ίδια ακριβώς ρούχα με πολλούς άλλους άντρες. Υπάρχουν βέβαια μερικοί απλοί τρόποι να δείξεις την προσωπικότητα σου και να αναδείξεις το προσωπικό σου στυλ στις καθημερινές σου εμφανίσεις. Όλα τα κοστούμια έχουν τα ίδια ακριβώς χαρακτηριστικά. Αν θέλεις να ξεχωρίσεις από το πλήθος, τότε δοκίμασε να φορέσεις ένα μεταλλικό κλιπ στη γραβάτα σου ή μια απλή καρφίτσα στο πέτο για να κάνεις τη διαφορά. Απέφυγε, ωστόσο, να φορέσεις περισσότερα από ένα κομμάτια. Η μόδα έχει αλλάξει. Πλέον τα τζιν δε χαρακτηρίζονται από καθαρές γραμμές και μονοχρωμίες. Αντί να αγοράσεις ένα καινούριο παντελόνι, απλά δοκίμασε να κάνεις τα τζιν σου να φαίνονται πιο παλιά. Χρησιμοποίησε ένα ξυράφι και κόψε μερικές λωρίδες για να έχεις μια πιο μοντέρνα νότα στο ντύσιμο σου. Απλά να θυμάσαι ότι όσο λιγότερα κοψίματα, τόσο το καλύτερο. Τα περισσότερα παντελόνια, σακάκια και παλτό έχουν φθηνά πλαστικά κουμπιά. Αν θέλεις να αναβαθμίσεις το σύνολο σου και να προσθέσεις το προσωπικό σου στυλ στην εμφάνιση σου, επέλεξε να τα αντικαταστήσεις με μερικά vintage κομμάτια. Με τον τρόπο αυτό θα κάνεις τα ρούχα σου να φαίνονται ακόμη πιο ακριβά. Φυσικά και δεν εννοώ να βάψεις τα καλά σου παπούτσια. Ένα καινούριο χρώμα, όμως, στα αθλητικά σου παπούτσια μπορούν να σου δώσουν άλλο αέρα και να αλλάξουν και τη διάθεση σου. Η διαδικασία δεν είναι ιδιαίτερα δύσκολη. Καθάρισε καλά τα παλιά σου αθλητικά με ασετόν και μετά με τη χρήση μιας ταινίας κάλυψε τα σημεία εκείνα που θέλεις να αφήσεις όπως είναι. Χρησιμοποίησε μπογιά σε σπρέι για να τα βάψεις, ξαναχρησιμοποίησε ταινία και έπειτα πρόσθεσε ότι άλλα χρώματα εσύ θέλεις. Μόλις τελειώσεις, άφησε τα παπούτσια να στεγνώσουν και χρησιμοποίησε ένα στεγανωτικό για να δώσεις λάμψη αλλά και για να προστατέψεις το χρώμα. Σίγουρα τα έντονα κοσμήματα δεν είναι η ιδανική λύση αν θέλεις να σε προσέξουν για το σωστό λόγο. Υπάρχουν, όμως, αρκετά κοσμήματα που μπορούν να φορεθούν χωρίς δυσκολία από όλους τους άνδρες. Μπορείς να φορέσεις μια ωραία αλυσίδα ή ένα περιλαίμιο επάνω από ένα λευκό T-shirt, ή να φορέσεις ένα ρολόι μαζί με δερμάτινα αξεσουάρ. Πως να συνδυάσεις τα χρωματιστά σου κοστούμια! New entry tiebows.... Visit our site to see summer collection!!!! Όπως συμβαίνει και με την όλη διακόσμηση στο γάμο αλλά και με τη νύφη έτσι και το groom style το καλοκαίρι “χαλαρώνει”λίγοπερισσότερο. Επειδή είναι πολύ πιθανό το γαμήλιο σκηνικό να στηθεί κοντά σε μία παραλία ή σε έναν όμορφο κήπο, το κλασσικό, αυστηρό κοστούμι του γαμπρού ίσως να δείχνει παράταιρο. "The only 4 Suits you'll ever need"
Tips for men style...leather ties and pin ties!! Μαθήματα αντρικής φινέτσας συνδυάζοντας διαχρονικά κομμάτια με τις πιο σύγχρονες εκδοχές τους, συχνά σε μοντέρνες γραμμές και θαρραλέες αποχρώσεις!!! Συνδυάστε την δερμάτινη σας γραβάτα με το trend του χειμώνα pin tie για να απογειώσετε το στυλ σας!!! Αν και δεν έχουμε συνηθίσει την ιδέα του pochette (μαντηλάκι) Αν και δεν έχουμε συνηθίσει την ιδέα του pochette (μαντηλάκι). Η μόδα όμως χρειάζεται υπερβάσεις και τόλμη.. Βάλε το προσωπικό σου στυλ και εντυπωσίασε !!! Για όσους θέλουν να δώσουν χαρακτήρα στις εμφανίσεις τους..
Δεν είναι λίγοι εκείνοι που ακομα έχουν κάποια στερεότυπα για το στυλ τους..
Η ανδρική μόδα εξελίσσεται και θα πρέπει να την ακολουθούμε χωρίς βέβαια να κάνουμε υπερβολές..
lets go guys...Ας το τολμήσουμε!!!!!! A lightweight scarf is always an essential piece during the transitional months, but this season, size matters. As seen in both Burberry Prorsum and Missoni’s menswear collections, an oversized scarf in a bright palette and breathable fabric is a key piece for welcoming warmer weather. Pair a patterned version with a plain trench in a neutral hue that picks out one of your scarf’s base tones, to tie the look together. Perfect for injecting life into any tailored look, a printed tie makes your look sun-ready without you needing to go all Man From Del Monté. Just switch in silk or cotton for the textured ties you’ve been wearing since October, to mark the shift out of winter. However, don’t overdose on colour – until it’s sunny, more often than not, washed out shades beat brights. Another trend straight off SS16’s runways, bandana neckerchiefs showed up across several collections. It’s a delicate line between Gallic insouciance and Dexy’s Midnight Runners, though, so add to a luxe souvenir jacket (à la Louis Vuitton) or neutral separates (à la Margaret Howell) rather than dungarees. The longer and looser the ‘kerchief, the more relaxed your look – think scout, not choker. As with your other neckwear, it’s an easy way to add colour to winter’s neutrals, when you’re not quite ready to retire all-black everything else. Britain’s charming combination of wind and rain means pocket-friendly umbrellas aren’t pals with your wardrobe. To avoid ruining what it should protect, you need a stiff shaft (easy now) and aluminium ribs, so it’s strong enough to resist gusts of wind but isn’t like carrying a dumbbell all day. If you only buy one – and unless you’re a Victorian gent, then fair enough – black pairs with everything. The mercury finally liquefying again means it’s time to shelve winter’s heavy scents for something with a spring in its step. To celebrate its 145th birthday, British perfumer Penhaligon’s has come over all floral for No 33 Eau de Cologne, blending lavender notes with orange, grapefruit and bergamot. So you can at least smell summery, even if the days stay grey. It might not be time for sleeves to come off, but sunglasses still need to come on. If only because squinting into low sun is bad news for your crow’s feet. This season, round sunglasses are trending. But the shape is unkind unless you’ve got cheekbones that could cut diamonds. Ray-Ban’s new Clubround is mostly circular, but with just enough taper to stop your face taking on the same proportion as Wilson the beach ball. Tip your hat to one of spring 2016’s street-inspired trends. Oversized, New Era-style fitted caps are out – this season is all about five- and seven-panels, bent brims and textures like fleece or mesh. If you’re a streetwear fan, then try to snaffle up a Supreme or Palace logo cap. If your style’s more tailored then go dark and unmarked, as seen at Calvin Klein, or neutral like Balmain. Although still don’t expect your boss to let you wear it in the office. Gold remains as popular as it did in the court of King Midas and more sun means more chance for your precious metals to catch the light. Or, at least, your gold-ish metallics. To hit the trend without hitting your overdraft, look to Larsson & Jennings’ glittering Milanese straps. Or embrace the less is more philosophy with rose gold accents against a black face. This season, laces didn’t get an invite to the party. Perhaps it’s a nod to their own jet-setting lives, but designers have embraced the airport security favourite in a big way, from leopard print slippers at Moschino (where else?) to Axel Arigato’s new Clean 90 Laceless, which looks like something you’d wear in a 24th century asylum. Although, you could just get back at it again with the white vans. Damn. How To Choose & Wear The Perfect Belt The Oxford Dictionary describes a belt as “A strip of leather or other material worn, typically round the waist, to support or hold in clothes or to carry weapons. The Oxford Dictionary describes a belt as “A strip of leather or other material worn, typically round the waist, to support or hold in clothes or to carry weapons. But let’s dig deeper, shall we? First of all, what is a belt really about? Holding up trousers? Sure. But there’s more to it than that. They can be used to make a style statement, add a personal touch to formal wear, create a clear distinction between your top and bottom half, tie an outfit together, and much more. In order to make the very most out of this classic accessory, your choices should be informed, reflect your personality and, in the end, improve whatever you’re wearing. Do you know your belt size? It is often indicated in inches or centimetres. Your formal belt – the one you’ll wear with tailored trousers and suits, and nothing else – should be completely understated. It will be 2.5 – 3.5cm wide, made of fine leather and come in brown, black or another subtle colour. You want your formal belt to discreetly finish off your outfit and play a supporting role to whatever you’re wearing, never steal the show. Formal attire is all about advertising yourself. For this reason, a silly distraction (such as a ‘quirky’ belt) may quickly turn you into an undesirable ‘product’. Make sure your belt and shoes match and stay away from loud buckles. The strap can have a subtle pattern, such as a fine weave, leather grain or patent finish, but that’s it. Leave contrasting stitching for your casual belts. Extra advice: for increased wardrobe versatility, pick your favourite metal finish (gold or silver) and stick with it throughout your hardware selection, including jewellery and watches. You can express your personality and be more experimental with your casual belt. The width range is undetermined, but there are some general guidelines to adhere to. For instance, thin belts (width ranging between 1.5 and 2.2cm) are suitable for skinny jeans only, whereas wider styles can be worn with any casual trousers including chinos, jeans, cargo pants and shorts. 1.Buckle or Strap? Either part can be unusual, eccentric or loud, but never both at the same time. 2.You don’t need to match it with anything. In fact, try to avoid matchy-matchy shoe and belt combinations – they can appear contrived – and stay away from conflicting branding. 3.If your jeans have a branded leather tag on the waistband, your belt should cover it. 5.Woven leather, fabric webbing, studded, embroidered, tooled leather, exotic skins, printed straps… the options available on the current market are so varied, you have no excuse to wear your formal belts with a casual look. It just doesn’t work. First announced in November of last year, British heritage label Aquascutum’s made-to-measure tailoring service has returned to its stores.